Jonas Kristensen has been making toys for children a long time, but when he sees Angie’s longing for the doll he’s made, it touches his heart, just like Meghan’s beauty and determination. Used to giving to others, he’s nearly stopped hoping for his own happiness. It’s been ages since he shared the secret of his magic with anyone. Will this be the year the toy maker receives a gift of his own? Jay Carter is still reeling from grief when she discovers a dark secret her family kept hidden for over two decades. Alone and confused, she struggles to uncover the motives of those closest to her and the reasoning behind such secrecy while fighting against her own insecurities. A man broken by answers. Marc Mercer is a lawyer that prefers paper work to people and solitude to company. He isn’t looking for a partner when a lonely woman searching for answers to her past storms into his office. After agreeing to help, he soon realizes that he has yet to come to terms with his own dark history. How long will they fight their past before facing their future? Audrey, a twenty-four-year-old dance teacher, moved to her dream town of Jackson Hole, Wyoming, from her home in Florida to teach at Ms. Linda’s Dance Studio. Christmas is fast approaching and, because Audrey spent all of her money moving out to Wyoming, she cannot afford to fly back to spend the holiday with her family. The world is filled with possibilities, and, in her small town, Audrey isn’t lacking in secret admirers. 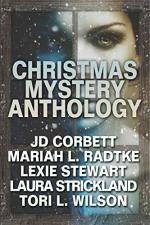 Will Audrey and Lindsay be able to solve the mystery before Christmas, or will Audrey be truly alone this year? Find the true gifts of Christmas in this cozy and heart-warming mystery filled with love, friendship, and of course, presents! Steve is a hunky nerd. Gabby is a flirty librarian. They’re both crazy about each other. Hooking up for a simple cup of coffee should be the easiest thing in the world for them but one thing or another keeps getting in the way. He’s also been avoiding mentioning his job, that is until what shy, hunky Steve does for a living might end up saving lives when a gunman abruptly enters the scene. After excelling in her career as a photographer at a fashion magazine, Sophie is granted a new assignment: a photojournalism piece highlighting Small-Town Christmases. Being a city girl, she isn’t sure what to expect when she arrives in the mountain town of Stowe, Vermont. Everything about Stowe is perfect. From the tree in the town center, to the quaint Bed and Breakfast where she is staying. Even the inn’s charming handyman, Nick, is handsome and more than helpful. Sophie couldn’t be happier with her project. But then, after a small misfortune, Sophie and Nick uncover a precious item from the past that leads them on a mission to discover the not so perfect truth about Stowe. View more books written by the author "JD Corbett". View more books written by the author "Laura Strickland". View more books written by the author "Lexie Stewart". View more books written by the author "Mariah L. Radtke". View more books written by the author "Tori L. Wilson". View more books in the genre "Contemporary Romance". View more books in the genre "Cozy Mystery".